Unable to view the images in this email? Click here to view it on the Web. 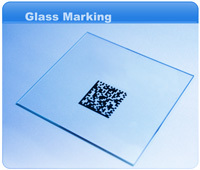 Fonon DSS, the cutting edge developer of state-of-the-art, laser scribing, dicing, marking, coating removal, direct patterning, and photo mask repair solutions for the Flat Panel Display (FPD), Semiconductor, Photovoltaic and Electronics industries throughout the world. For more information about Fonon DSS’ systems, please visit http://www.fonondss.com or call 407-829-2613. To remove your name from our mailing list, please click here. Questions or comments? Email us at info@fonondss.com or call 407-829-2613. Copyright 2007 Fonon DSS. All Rights Reserved.